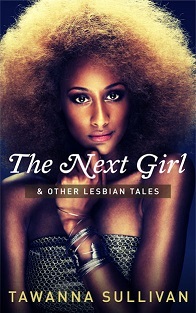 I’ve gathered together my previously published short stories and put them together in one eBook collection: The Next Girl & Other Lesbian Tales. In Losing Michelle, a horror writer wishes her partner would leave her alone—until the woman goes missing. Originally published under the pseudonym Evelyn Foster, In Remembrance of Her finds a woman negotiating with dark forces in a quest to save her lover. Despite the rumors, Chante is drawn to the mysterious Diana in The One Who Got Away.